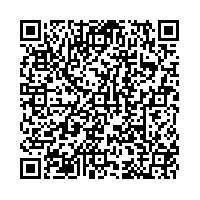 Scan this QR-Code with your mobile to add Red Bamboo to your address book! On my last two trips to NYC I had very delicious dinners with friends. The kitchen is very inspiring and I took one or two ideas with me and my guests were delighted. Be sure to make a reservation! My absolute favorite restaurant in NYC. I can't even begin to describe how perfect Red Bamboo is for the vegan who loves his fake meat (which I do). The Buffalo Wings are a must, a second order is recommended. Also, anything with their fried chicken is astounding. Their deserts were killer, with their chocolate oreo cookie cheesecake nearly knocking me out for the count after the first bite. Delivery is ultra-fast and friendly also. I make it a point when I'm in NYC to stay the night within either walking or delivery distance. So should you! Veg*n soul food with an Asian twist in the Village. great mock meat dishes at an affordable price. the space is tiny, so a wait can occur. try the BBQ chicken wings and one of their sandwiches and you won't be disappointed, vegan or not. the staff is distant but friendly enough. they also deliver. great place! We had the Creole Soul Chicken and the Philly Cheese Steak Sandwich. It was really a lot of food and it was great. Maybe the best fake vegan meat I've ever had. The restaurant is quite small, so you have to wait to be seated - at least on Saturdays. But you can leave your phone number and they'll call you, when you should be back. Drinks are cheap, service is great.